Patient Satisfaction Survey is a performance measure to quantify the quality of health care and services delivery system. It is recognized as a reliable means to measure Patient Satisfaction and to translate subjective results into meaningful, quantifiable, and actionable data. These days, healthcare has shifted towards a market oriented approach. Due to this approach, healthcare organisations have turned patient satisfaction surveys into a quality improvement tool for the whole organization. But Patient Satisfaction should be at the heart of any healthcare facility. Not just for monetary reasons, but also for ethical reasons as well. Satisfaction is a feeling therefore one cannot measure it directly. Institutions and organisations commonly use surveys as a device to measure it. By far the most cost effective method of capturing patient satisfaction is by constructing a properly and thoroughly analyzing Patient Satisfaction Surveys. Patient Satisfaction Surveys allows the concerned hospital to get an insight to the patient's lifestyle. For instance, they can get information from diet and exercise to personal hygiene and smoking habits. This allows them to treat their patients better. Further, it may even help them in the right diagnosis of a disease and subsequently the right treatment of their respective patients. Patients give their thoughts and opinions in such surveys. Patients get an opportunity to give real time feedback and suggestions via Patient Satisfaction Surveys. These suggestions and ideas make room for brilliant changes and improvements to the healthcare practices of the concerned hospital. Patients give valuable feedback and suggestions. Patient Satisfaction Surveys provides Medical practitioners and staff valuable information on which they make improvement efforts. Similarly, they should use the feedback to improve themselves as well as the patient’s experience. Such initiatives help in demonstrating commitment to patient-centric care and leads to improvement of the overall healthcare experience. The only way to take advantage of this knowledge attained by Patient Satisfaction Surveys is to actually address the issues raised by the results of the survey. Satisfied patients may act like brand ambassadors of the concerned hospital if they are satisfied with it. Studies suggest that satisfied patients are likely to share their positive experience with five other people, on average. On the other hand, dissatisfied patients complain to nine or more people. The Internet allows rapid and wide propagation of people’s views. Word-of mouth marketing is very powerful, especially now as people have grown to become more concerned about their health care choices. Hospitals usually attract a patient through advertisement, insurance contract or any other kind of contract. Losing a patient, especially due to dissatisfaction, is a substantial loss of investment. The probability of malpractice and lawsuits also increase when the patients are not satisfied. Such instances may further increase the expenses of a hospital. Accreditation, business improvement, and risk management are not the only reasons patient satisfaction is important. 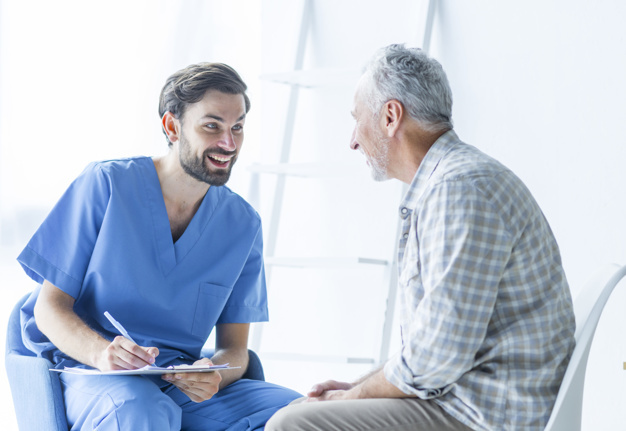 Satisfied patients are more likely to react favorably by continuing their relationship with the hospital’s practice, and perhaps even recommend it to a friend. There is evidence of a reciprocal relationship between patient satisfaction and continuity of care. This phenomenon is associated with better patient outcomes. On the contrary, dissatisfied patients does not only leads to loss of business/investment, but also increased risk of malpractice lawsuits. A satisfaction survey does not need to be overly complex. On the contrary, it should be easy-to-understand. One such survey will encourage more participation and high-quality information. A patient satisfaction survey should also be concise and logical to extract the required information. Patients can give out information in an interview, a questionnaire i.e. by revealing identity or even anonymously. The person administering the survey should ensure that patients answer at their convenience. This is a healthy practice and will greatly improve their response rate. The patients can even fill these surveys anonymously. Further, they can give their suggestions in a drop box if they are even more concerned about their privacy. The administrator should apply survey logic. This means that he or she should modify the questions according to the respondent. For instance, spare surgery related questions if the respondent was not an inpatient. Organisations or institutions related to healthcare like hospitals should gauge check patient’s satisfaction regularly. After gauging the results, the whole staff should act on the recommended changes. For instance, if the concerned department of a hospital should make adjustments if the Patient Satisfaction Survey reveals that it is easy to make an appointment, but there is a level of dissatisfaction with the amount of time actually spent with the doctor. The manager of the concerned department should recognize and act upon both strengths and weaknesses of the practice and should not emphasize on just one aspect. Healthcare organisations can realize an array of benefits from acting on successful Patient Satisfaction Survey. But this is possible only if the entire staff is made aware of the results. It is not just the doctor who may be the cause of the patient’s dissatisfaction. Instead, it is the whole staff. So, making amends is a team effort, and staff awareness of the results of a survey is essential.